NoVES member Dr. Elham Hassen will provide us with a global perspective on reproductive health and will examine cost-effective approaches to family planning. She will draw from her widespread work in Africa including Ethiopia, Nigeria, Tanzania, Congo, and Niger, with stories from the women and men she has encountered in the field. 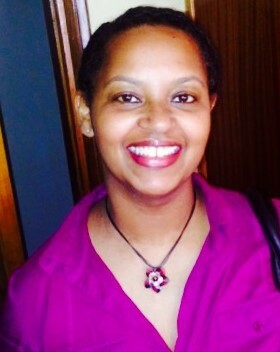 Elham, an Ethiopian-American and MD by training, has worked in public health for over twelve years. She began her career in research at Johns Hopkins on HIV/AIDS, before joining the global health nonprofit Pathfinders International where she currently is Senior Technical Adviser, working on the Evidence To Action for Strengthened Reproductive Health project . The passion for her work is summed up in the mission statement for her project: " A world where everyone has access to contraception, where there are zero new HIV infections, where no woman dies from preventable pregnancy-related complications, and where everyone leads a health sexual and reproductive life."